Two races are planned, at least one marathon shall be ridden, a bike vacation early on in Spring should prepare body and mind and of course the soul for a great year of riding (after the second half of 2011 was quite a desaster due to other priorities that needed to be set). And, yet, only 2 (in words: two) miles have been ridden so far. In a complete week. That was even a slow work week. The weather has simply been miserable: storm and snow and rain and drizzle, hail and wind and fog and more rain. 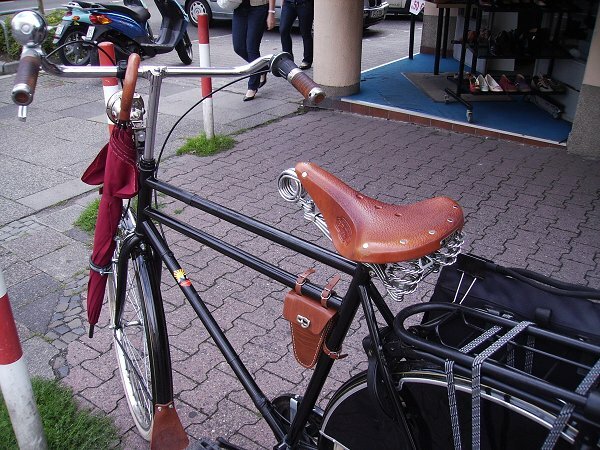 Even if this heavily equipped bike shown here would be my own*, I would not ride in that kind of weather. But check it out, that beauty that I saw the other day. 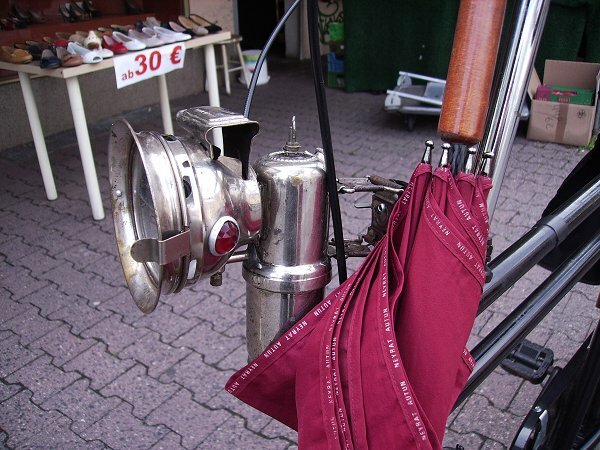 It’s not only perfect for the British Lady and English Gentleman as it comes with an umbrella holder. 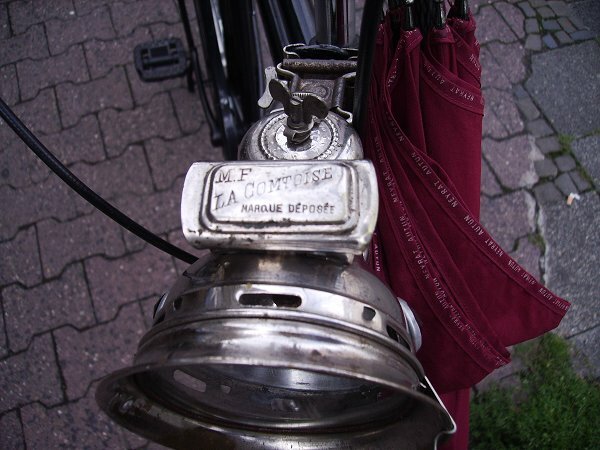 It also features one of the very rare La Comtoise front lights. Originally these were carbide or petrol lamps that were produced alongside the Comtoise pit and carriage lamps and lanterns, respectively, in the second half of the 19th century. But very few of those shown here were produced – even fewer survived the decades. And it ensures that the bike is sufficiently lit, independent of actually rolling along (and, hence, remarkably differentiating it from what German legislation still wants to see, i.e. bike dynamo lights that literally leave you standing in the dark). 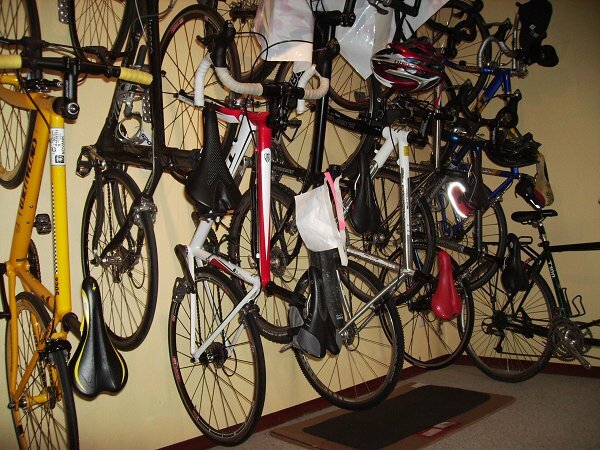 As I don’t own one of those beauties, though (and since I hate dynamos slowing down your speed), I guess I need to leave the bikes up on the wall ‚till the weather is clearing for good.